There is a saying that light is life. In fact that is actually true in many ways and those two are interconnected with each other. In science, light coming from the sun is the source of all life here on earth. Without sunlight, plants and trees wouldn’t grow and life would not exist on earth. And for humans, that is also true. Without light our daily life would be so inconvenient. Imagine the times, especially during the night where there is power outage. It would be so hard to see things at night and actions would only be limited. It would also affect business operations, and be hard in times of emergencies during night hours. Over the past decades, lighting technology has been improved and developed in many ways that are beneficial to humankind. It is now widely used in different areas and applications across the globe. One of these applications is in the field of emergency vehicle lighting. And this week, we will briefly discuss about its purpose and as well as the different types and colours of emergency vehicle lighting. The main purpose of emergency vehicle lights is to warn of caution, and sometimes notify vehicle drivers and nearby people that an emergency vehicle is approaching, in order to clear a path. Emergency vehicles such as ambulances routinely respond to and from the scene of an emergency. This scenario is always accompanied by the risk of collision. And in order to prevent such cases, emergency vehicles are specifically painted, marked, and equipped with audible and visible warning devices. Steady Burning – Steady burning are the simplest and most commonly used emergency light. It comes in several different forms and colours, but white lights are usually used and are often put alongside a rotating or flashing light. Some countries require at least one steady burning light on every authorized emergency vehicle. Rotating Light – A rotating light is another type of emergency vehicle light, that creates a rotating beam of light which appears to be flashing when viewed. It is created with a very simple design. The bulb inside is a single, stationary bulb which can be either quartz-halogen, incandescent, or LED. It also contains a lamp with a Fresnel lens and a curved mirror that is attached to a spinning mirror. 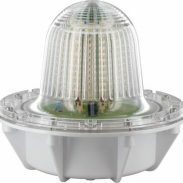 For protection, the rotating beam is usually covered with a plastic dome, usually coloured. Strobe Lights– This type uses a very similar type of light used in flash photography. It uses xenon flash lamps that emit a very fast and bright output of light, and has a bluish emission spectrum. LED Emergency Lighting – This type is one of the most popular in the market, due to a number of its advantages over the other types. LED bulbs are very small, completely solid, power efficient, wind resistant, and can last for an incredibly long time. They can be also programmed or modified for desired flash patterns, making them an excellent choice for emergency vehicles. Roof-Mounted Single Beacon – Roof-mounted beacon lights have been used since the late 1940s and are still being used today. 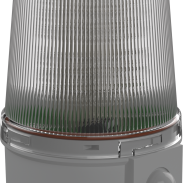 This beacon light often uses a rotating lamp or mirror and sometimes a strobe light under a translucent dome to produce an omnidirectional flash. They are mounted on the roof of an emergency vehicle either permanently mounted or with a magnetic mount. Red – This is the most commonly used colour to denote an emergency. Typically, outside of Europe, red lights are mounted on fire trucks, police cars and rescue vehicles. When it is used as a combination split light, red is often paired with blue or white. Blue –Within Europe, emergency vehicles typically use blue lights or sometimes a combination of blue and red lights. In some places, blue lights are used by volunteer firefighter and rescue vehicles when they’re deploying in response to an emergency. 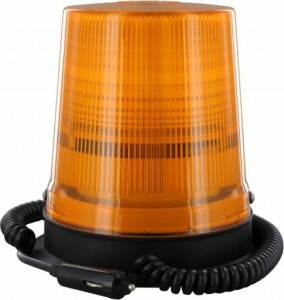 Yellow or Amber– Yellow lights are often used by construction vehicles and sometimes tow trucks to signify caution, as these vehicles move slower and sometimes block traffic completely. Rescue vehicles sometimes combine red and yellow for emergency lighting. Green– Green lights are sometimes used to indicate a mobile command post, a fire chief’s car or a volunteer firefighter’s vehicle. In the United States, green lights are also used in patrolling government buildings by Homeland Security and some private security agencies. 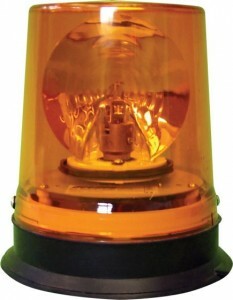 In Queensland it is used on State Forest bush fire units along with yellow light. White– White lights are often used on new emergency vehicles as an additional colour and sometimes in the form of wig-wag headlights. In most states in the US, white lights are only allowed to be used on emergency vehicles. Lighting technology is surely super beneficial to humankind in many areas and circumstances. Thanks to advanced technology that we have today, we live comfortably and conveniently. It has become a part of our daily life, and quite often, we depend on it. Some may say, we can’t live without it!